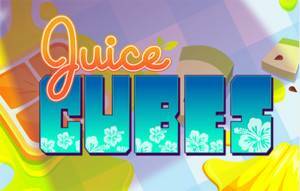 Cheats, Tips, and Level Guides for the popular mobile game, Juice Cubes. Juice Cubes is available to download for free in both the iTunes App Store and Google Play Store. Feel free to comment if you need any help! Juice Cubes Map Pieces Cheat – This cheat helps you get map pieces without having to asking your friends and waiting 7 hours to search for map pieces. If you have any questions feel free to comment and I’ll try to answer them! Juice Cubes Free Lives Cheat – This cheat is meant to give you lives immediately instead of having to wait for them to refill. This cheat is very similar to the map pieces cheat and involves you setting your time on your mobile device ahead. First exit your Juice Cubes game and open your settings. Once in your settings go to where you can change your time and set your time ahead to how ever long you had to wait for your lives to refill. Once changed, exit your settings and reopen Juice Cubes. You should see that your lives are now refilled! If you have any questions or concerns please feel free to comment. Video Guides for Juice Cubes Levels – I have listed links to each video guide I have made thus far for the Levels in the mobile game Juice Cubes. Make sure to keep checking back for more Level Guides. Juice Cubes is available to download for free in both the Google Play Store and iTunes App Store. Thank you soooo much for that free maps cheat! I have been trying to figure out how to unlock level 36 for sooo long! Sure thing! When you first press the search for map pieces option a timer will come up! Now I forget specifically how long you had to wait it was either 7 hours or 9 hours but either way after the countdown starts, exit your Juice Cubes game and open up your mobile device’s settings and in the settings there should be somewhere that you can change your device’s date and time. Open that up and move the time ahead on your mobile device to however long you had to wait. For example if you had wait 7 hours, move you device’s time ahead by 7 hours. Now open your Juice Cubes game back up and if done correctly the search should be done! Thank u soooo much!! Ur a lifesaver!! how about level 320 ? ugh…can’t get thru level 45. I’ve watched you video several times. Guess I’m not figuring it out from just that. I get all the sand…except that middle piece…what the trick on eliminating that booger? Dynamite is the key to clearing out that middle part but i also found it helpful to get either the 2 dynamite combination or the dynamite and bomb combination since those will clear out a row and a column at the same time. While your clearing out the sand on both the left and right side mostly focus on using moves that will help you get the dynamite and bomb cubes so you don’t waste your moves. Also I sometimes found it easier to try and get the special cubes at the top so you can concentrate on moving them down row by row until they are in the center. It took me a couple tries to actually clear this, I still remember how many times this level wanted me to just chuck my tablet across the room. Good-luck! And remember dynamites! Hey, just figured it out. You HAVE to do at least 8 hrs ahead. 7 hrs didn’t work. At least 8 hrs or more. 😉 Got the map piece now. Thanks for this video tutorial. Helped a lot! i can’t find e “search for map button. i just finished lvl 20. I had completed lvl 20. Nd to request for friends to ask for map. Frm e video, you say clicked “search” button but mine dont hv such button. Can tell me why & hw to search?? Is there a way to create circle bombs vs. square bombs. I never know what I’m going to get when I connect 4cubes. I cannot change the time on my phone to get map pieces quicker.. Is there any other way? Please help with level 435! I’m on level 499 – been playing FORever on this level and can’t figure out how to get past those shells that surround the cubes! On level 454…what does the combos look like? Can’t get past level 499!!! !whats the deal? Hi Did you ever get past level 499 I’ve tried everything I I can !!!! Not sure that you still need a solution to this level, but its really quite simple. You need a horizontal bomb at the bottom. And you will need several of them to get all the sand. You have to strategically create them up so that they move down during the shift, then you can use a rainbow bomb to destroy them. That is how you are going to get the corners at least… the other ones can be killed with bombs. I’m stuck on level 732. It is impossible to beat due to the shell being on the sand needing to be cleared. Can you help?? I need help with level 732. Obviously I know quite a bit about this game getting to this level. There is a sand that is blocked by impenetrable means, and I need help figuring out how to get it cleared. Has anyone else got that far? Help please! Im having trouble beating level 723. How do you connect just 1 chain link?? ?